Ferdie Balanag hasn't added a story. Kurt John's ailment is suspected to be caused by his exposure to toxic elements present in the surroundings of the small-scale mining community where his father has been working all his life. KJ was brought to several doctors in Baguio City but his diagnosis remains inconclusive and in need of further tests in institutions with higher facilities. If Kurt John is given the chance to undergo intensive medical tests to determine the validity of the doctor's presumed diagnosis, his results could be a sample that can finally confirm the cause of this kind of illness among children in the Luneta, Itogon community as well as confirm the effects of toxicity on humans in small-scale mining communities all over the Philippines. All of your donations and kind contributions to the cause shall be dedicated solely for the purpose of sending Kurt John to higher medical institutions where he can receive urgent medical attention, hopefully on or before his birthday on January 2015. Donations can be sent through Paypal. 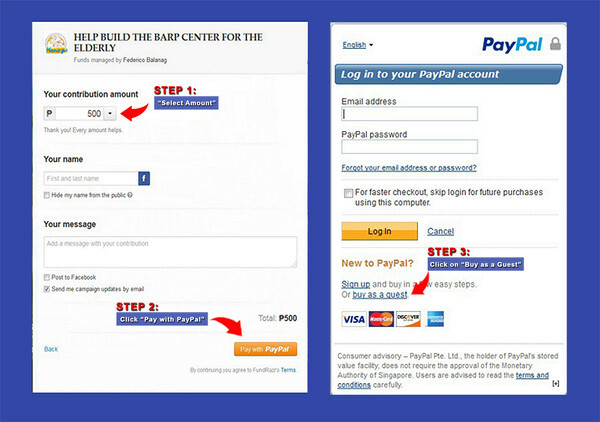 If you don’t have a Paypal account you can make a donation using a credit or debit card. 4. Click on “buy as guest user”. Ferdie Balanag hasn't posted any updates yet. Ferdie Balanag is managing the funds for this campaign. The campaign is for a personal cause.